Durable 600 denier polyester fabric with solid steel frame. Swivel handle for easy steering. Conveniently folds for easy storage. Cover included. 150 lb. capacity. Heavy duty iron tube frame holds up to 200 lbs. 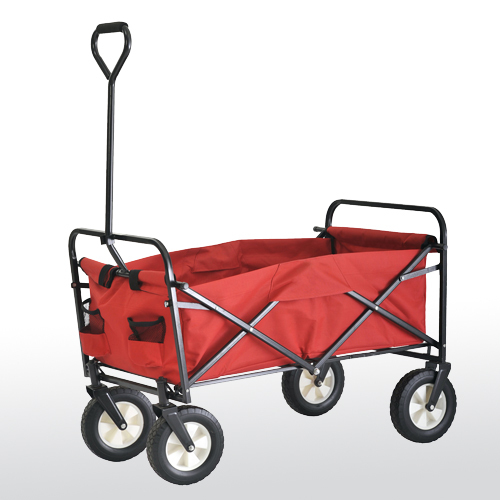 Folds up for easy storage in the trunk, closet or garage. Large heavy-duty pneumatic tires (front 2.5 x 4; back 3 x 4) rolls with ease on any surface. 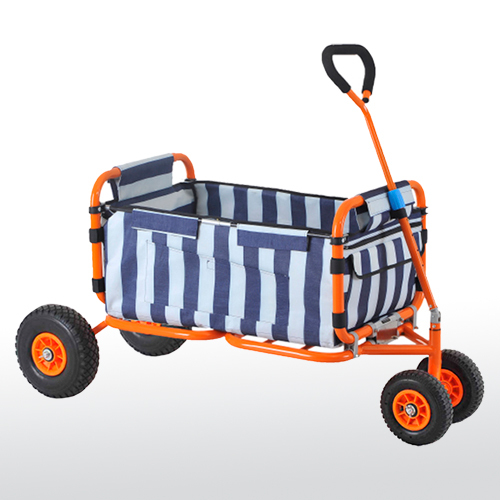 Durable blue and white stripe polyester fabric is filled with foam protection and is machine washable. Adjustable padded handle for easy pulling. Includes a fitted cover with carry handle for easy storage or transporting when folded up. Powder coat finish in orange. One step folding and unfolding, no assembly required. Easy to store in the trunk, closet or garage. 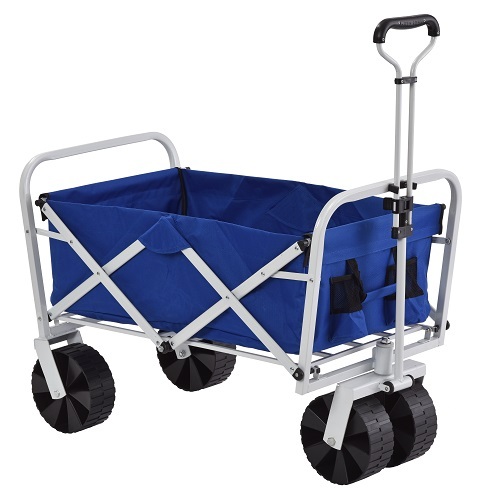 Extra large wheels (4.25" wide x 10" high) provide easier movement on the beach. Strong powder coat finish frame with pull handle in white. Durable 600 denier polyester fabric is easy to clean. Drain holes in bottom of wagon. 150 lb. overall weight capacity.